We had a wonderful night last night at the Annual Gymnastics Queensland Awards night. 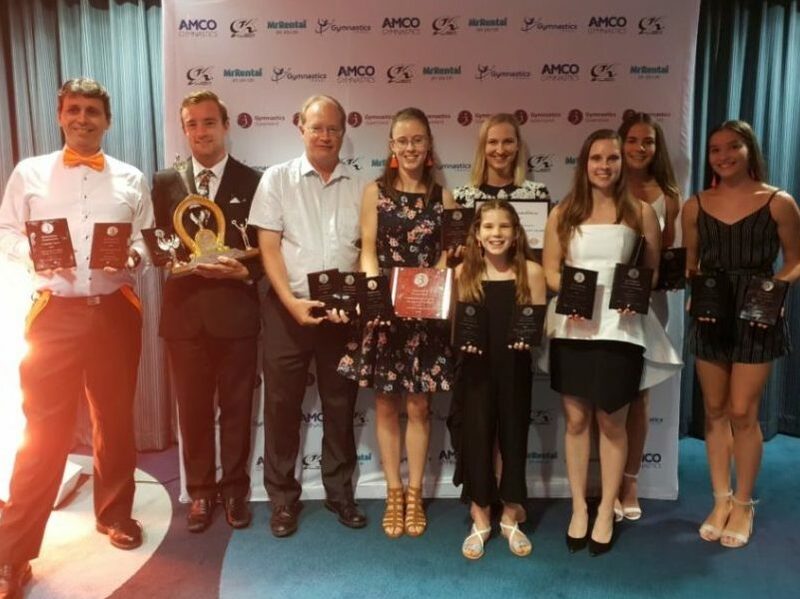 Robertson Gymnastics picked up multiple awards with our Academy venue winning ‘2018 Acro Performance Club of Year’ and ‘2018 Acro Coaching Team of the Year’! Our International Acro 11-16 Age Group Trio of Maddy, Abbey and Bronte were also presented the ‘2018 International Acrobats of the Year’ award. This award follows the girls’ Australian representation at the 2018 Acro World Age Group Competition in Antwerp, Belgium. Robertson Gymnastics was also recognised for reaching a new milestone of having over 1500 registered members in 2018. A big thank you to all our athletes, coaches and parents for your ongoing support and commitment! We cannot wait to see what 2019 has in store! To see what awesome awards were won by our Centre venue, head over to their facebook or instagram page.